Applecrumby & Fish have also seen their subscriber list grow on average by 10% every month through collecting customer information using popup forms on their website. 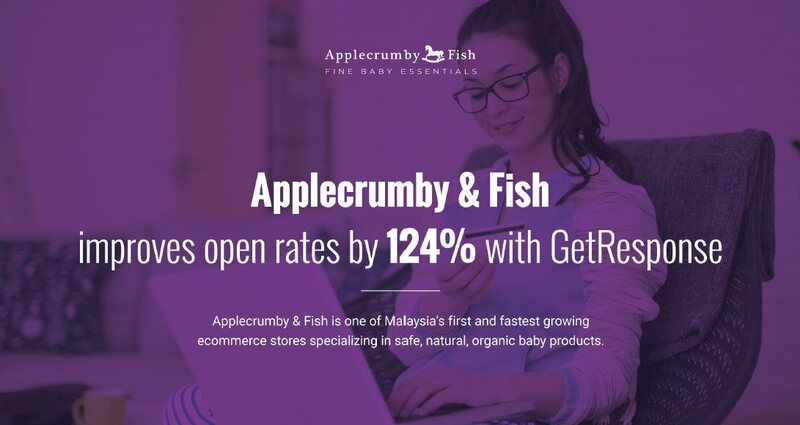 Applecrumby & Fish, one of Malaysia's first and fastest growing e-commerce stores specializing in safe, natural, organic baby products revealed today that they have seen an increase of 124% in their open rates after migrating to GetResponse for their email marketing and marketing automation needs. Mellissa Lee, Head of GetResponse Malaysia said "Applecrumby & Fish was one of the first e-commerce brands that chose to migrate to GetResponse since we opened our Malaysian office last year. The demand for digital marketing is rapidly increasing as our population grows and becomes more digitally savvy. The average consumers are smarter, savvier, and more empowered. That's why it's crucial for businesses to start engaging, inspiring, and connecting with their audience by harnessing the power of the technology and available marketing solutions in a focused and strategic way to achieve great and impactful results. Applecrumby & Fish is one of the brands that fully understand the macro trends impacting its business and we are proud to be their chosen partner to help grow their business." As a young startup, Applecrumby & Fish relies on digital marketing solutions to effectively reach digitally savvy consumers in Malaysia. 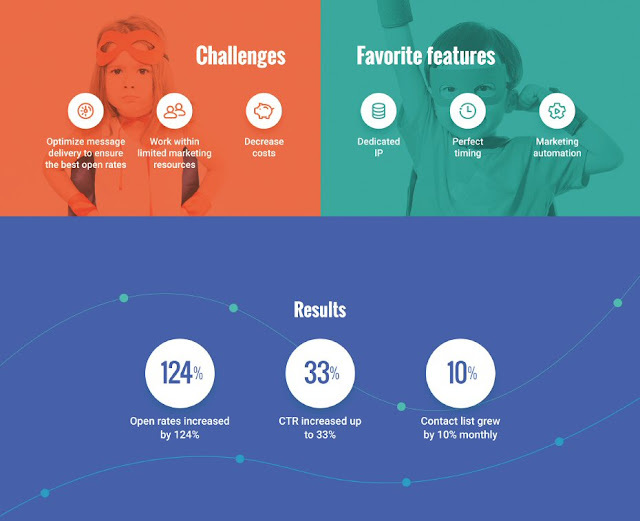 One of the challenges they faced was a low open rate for their email newsletters - one of the primary communication channels to announce new arrivals and promotions. By using the GetResponse Perfect Timing feature and the dedicated IP infrastructure provided exclusively to Enterprise accounts, they saw a 124% increase in their open rates. The GetResponse Perfect Timing feature uses historical data for each recipient to determine when they're most likely to open and click, and then delivers your newsletter exactly during that "perfect" time window on an individual level. Aside from that, Applecrumby & Fish have used advanced tagging and scoring automation workflows, which has helped them automatically identify their most engaged subscribers and target them with relevant content at the right time and stage of the buying cycle. This, in turn, helped them increase engagement and overall revenue. Hiring the right talent while keeping costs low is a major challenge for Applecrumby & Fish. Using GetResponse marketing automation, they were also able to streamline, automate, and optimize their existing repetitive process for increased productivity. Andrew Lee, Online Marketing Manager of Applecrumby & Fish said "We are satisfied with GetResponse, and especially the Perfect Timing feature, which has proven to be a recipe for success, improving our open rates by at least 124%! From GetResponse's top notch service to the platform's functionality, it is clear that everything is designed with ease of use in mind. Through our partnership with GetResponse, we believe we can further establish the brand in the region as the top-of-mind online site for safe, natural, and organic baby essentials." "At Applecrumby & Fish, we are committed to working with the best brands in the industry. 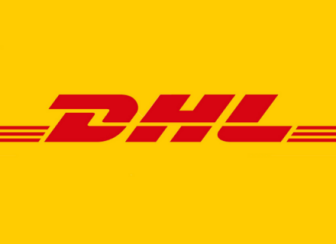 It has been a great experience working with a global brand like GetResponse", added Lee.